1. This delicious mix from Half Baked Harvest. Get the instructions here. 2. DIY Sage Wreath from This Healthy Table. Get the instructions here. 3. DIY Aromatic Wax Fire Starters from Hello Glow. Get the instructions here. 4. Scented Baking Soda Dough Ornaments from Northstory. Get the instructions here. 5. 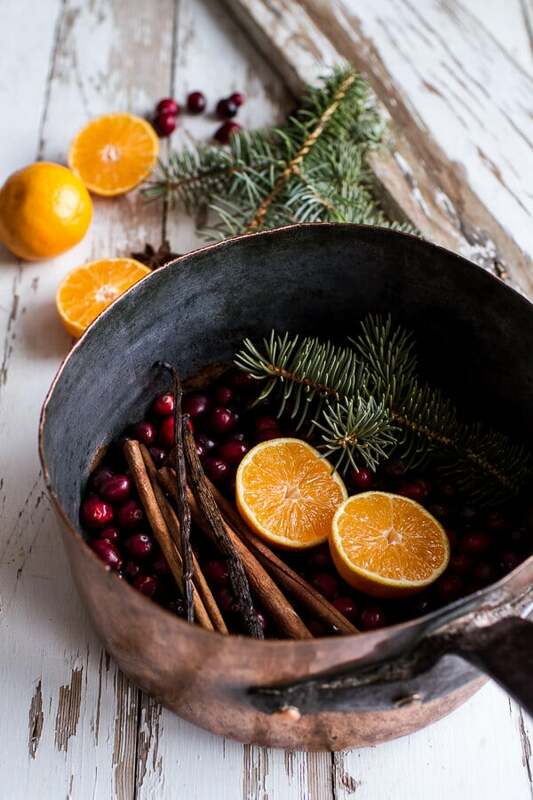 DIY Citrus & Rosemary Garland from This Healthy Table. Get the instructions here. Click here to pin this guide for later!